McKinney, which Money Magazine named its 2014 “Best Place to Live in America,” placed first in the overall rankings. Frisco, home to the Dallas Cowboys’ $1.5 billion world headquarters, came in second, and neighboring Allen, ranked third. Rounding out the top 10, Cary, North Carolina, placed fourth; Norman, Oklahoma, fifth; Lincoln, Nebraska, sixth; Boise, Idaho, eighth; Thornton, Colorado, ninth; followed by Murfreesboro, Tennessee. Another Dallas suburb, Richardson, ranked seventh. Conversely, the bottom markets for first-time homebuyers included Miami, Florida, plus California’s San Francisco, Santa Monica, Oakland, Berkeley, and Santa Barbara. Analyst Jill Gonzalez told Breitbart Texas by email that WalletHub examines these figures in July when home sales typically peak nationally. Their team of experts compared 300 U.S. cities of varying sizes across 23 key indicators of market attractiveness, affordability and quality of life, cost of living, property taxes, crime rates, rent-to-price ratios, median home price appreciation, job market, homes sold, recession recovery, and foreclosure rates to identify the best and worst real estate markets for first-timers looking for their dream home. Breitbart Texas spoke to Certified Negotiation Expert (CNE) Realtor Courtney Hugghins with Keller Williams McKinney about white hot Dallas-Fort Worth real estate market. She said many first-time homebuyers are millennials who choose top ranking McKinney, Frisco, and Allen for a variety of reasons including quality of life, access to high-end shops and entertainment, plus a desire to be close to friends, family, or work. These suburban areas offer more affordable real estate than Dallas, which WalletHub scored at 249th for affordability. Although less expensive than Big D, McKinney netted a not-so-affordable survey rating of 191; Frisco, 175; and Allen, 151. “We’ve seen such large increases in home prices, as well as rental rates, in these and surrounding cities, over the last few years that it does not surprise me that these cities don’t rank well in affordability,” said Hugghins. 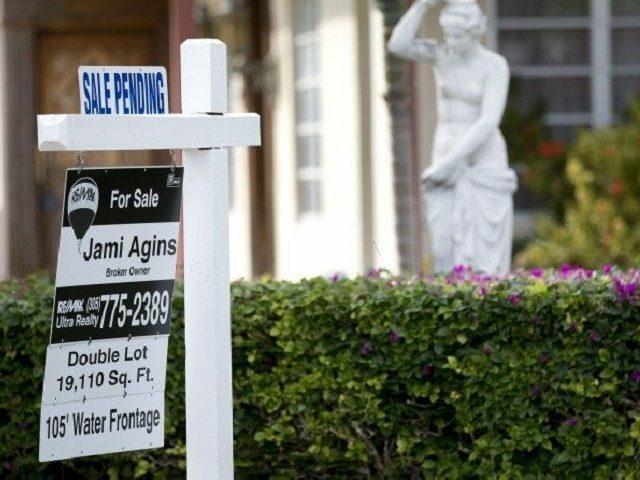 Industry analysts attribute skyrocketing home prices to short inventories created by the influx of families and companies relocating to Texas from other states such as California, Breitbart Texas reported. Since May, Toyota began moving 250 of their employees a week to the auto manufacturer’s new North American headquarters based in Plano, another nearby Dallas suburb that ranked 29th. Nearly 4,000 Toyota workers will arrive by year’s end. “Certainly the large migration of people to Texas plays a role in this. We have many people that relocate here from California and find our home prices to be very affordable in comparison to California, so they don’t hesitate to pay over the list price for a home if needed,” said Hugghins. This drives up home prices. However, many seeking homes in highly desirable established residential neighborhoods or newly built communities find themselves embattled in fierce bidding wars. “It’s very common for homes at $250,000 or less to receive multiple offers, but buyers are not intimidated by this,” added Hugghins. Other DFW municipalities deemed favorable to first-time homebuyers include Denton, placing 11th; Carrollton, 18th; Grand Prairie, 21st; Garland, 45th; Mesquite, 72nd; Arlington, 96th; and Irving, 99th. Fort Worth came in 33rd while Dallas ranked 120th. Elsewhere in-state, El Paso took 35th; Amarillo, 51st; Austin, 86th; Laredo, 94th; San Antonio, 136th; Corpus Christi, 161st; and Houston, 186th. In rankings by city size, WalletHub named Raleigh, North Carolina, the best large U.S. metropolis (more than 300,000 residents) for first-time buyers and Oakland, California, the worst. McKinney and Frisco maintained the top spots for mid and small size cities, respectively. In other subcategories, lowest cost-of-living kudos went to Laredo, Texas. New York City ranked highest. Yonkers, New York, had the lowest property crime in the nation, although Allen came in second. Miami ranked last.